Week Two falls in to several categories for MEAC teams: Guaranteed to lose. Probably lose. Ain’t no way in hell you should lose. 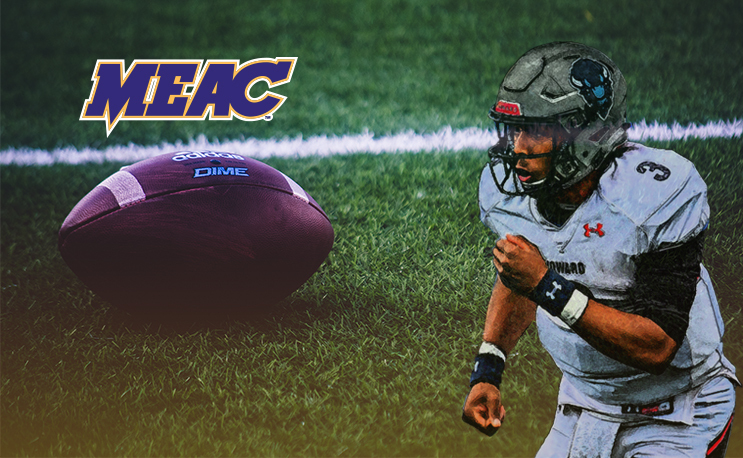 It’s another weekend of MEAC Football on the slate. There’s a few “Cut The Check” games, a potential FBS upset, and what should be some easy work for other teams. Here are my MEAC picks of the week. DSU was tripped up by Buffalo last week. This week, the Hornets face Saint Francis of the Northeast Conference. The Red Flash last faced an HBCU in 2013 with a 38-7 win over Lincoln. SFU is a program that stays around or above .500; including some FCS playoff berths along the way. DSU will have a tough time in this contest. North Carolina A&T is just that school right now. They knocked out Jacksonville State on national TV and East Carolina in their own house. This week, Gardner-Webb from the Big South comes to Greensboro. Expect an easy win for the Aggies as they return home. Troy went 11-2 last year including a 20 point bowl win. The Trojans are coming off a loss last week so this game will be used to even things out a bit. FAMU handled Fort Valley State last week, but 18 of those points came on field goals. Seven running backs had at least 20 yards as FAMU dropped 41 on FVSU. They will be looking to have the same success this week in Alabama.But trust, it won’t be easy. Miami got embarrassed on national TV last week. They will be looking to return to their winning ways this week against SSU. SSU lost to UAB last week. It will be looking to cash one more check this week since the Tigers are moving to D2 next season. This will most likely be their last FBS opponent for the foreseeable future. It’s rough in Baltimore right now. The Bears are headed to Ohio after a tough loss to Towson and anyone who saw that game expects Akron to roll in this contest. They went to MAC title game last season and a bowl game as well. This game is on the HBCU vs FBS games to watch list. Howard almost beat Kent State last year. Their MAC foe, Ohio, had the same situation last week. Howard was close to another win but had some issues late. The Bison will be looking to pull an upset this week. BCU has a breather after getting smacked by Tennesse State last week. Wildcats will handle business this week. NCCU just lost their energy during the MEAC/SWAC challenge this week against Prarie View A&M. They started rough and took a little too much time getting started. This week, they face Saint Aug’s in Durham. The Eagles will have a fight will be able to push through for a win. James Madison is one of the best FCS teams. NSU having them at home is really good in terms of attendance and fanfare. Now on the field, its another conversation. JMU completely destroyed NSU last season so the Spartans will be looking for a better result. Norfolk State playing tough in this game will get some interest from the FCS community. "They look drastically different than they did last year with basically the same roster. They're bigger, faster, more polished and functioned very well in all three phases."